One of the downsides of starting a small business in 2018 is the fact that the competition is tougher than ever. The number of companies offering small business loans, online opportunities and ever-growing consumer base are going in favor of first-time entrepreneurs, which, also means that virtually every niche is getting oversaturated. So, what do you do in a scenario where your competitors are so numerous that their offers have a chance of drowning your own? How do you stand out? Luckily, the answer to this question is a surprisingly simple one. You see, about 41 percent of all small business owners believe that their business won’t benefit from even having a website, let alone establishing an online presence. This results in about 50 percent of all small businesses not having a website. This means that by simply making a website you can get yourself a position in the top-half of your industry. Furthermore, even among those who do own a domain, a surprisingly large portion have no clue about how search engines work. This is your opportunity to shine. 1. What Is SEO And Why Does It Matter? The internet is a huge place filled with information of all kinds and without search engines, no one would be able to find the information they need. Now, these search engines (Google, Bing, Yahoo…) all work on algorithms that determine what the results of an inquiry would be. With this in mind, SEO (search engine optimization) is nothing more than making your website search engine-friendly, thus ensuring that your result is one of the first ones that your potential customers get to see. To illustrate just how important this is, you need to know the fact that over 33 percent of all Google asked questions end at the result No. 1. Furthermore, about 95 percent of all inquiries end at page one, which resulted in a joke that the page 2 of Google search results is probably the best place to hide a murder weapon. At the end of the day, now with trends like Google Rich Answers, employing professional SEO services is more important than ever. In the previous section, we mentioned an SEO algorithm. The most important thing you need to know about this algorithm is that it is constantly changing. With the growth of the trend of machine learning, it is questionable whether Google employees themselves will know how the algorithm works. Several trends such as keyword cramming were outdated years ago, yet, in the early 2000s, they were the golden standard of SEO. Still, not everything is as grim and unpredictable as it may sound at first. You see, some digital marketing experts, like people behind SEO Reseller Hub understand that being user-friendly and Google friendly usually mean one and the same thing. This causes their own SEO strategy to rely on genuine websites and blogs, quality copywriting and content consistency. One of the main reasons why SEO is so beneficial for SMBs is due to the fact that it creates so-called qualified leads. A random person clicking on the link towards your page may or may not have an aspiration to become a client, however, someone who types in the keywords that are relevant to your business into the Google search box, has much higher chance of becoming a paying customer. In other words, by improving the visibility of your website, SEO is actively helping people who actually need your services to find you. Needless to say, in order to convert them, you need to invest a lot less effort, which saves both your time and resources. Finally, you need to keep in mind that as a small business (especially a small online business) you don’t have a portfolio to stand behind. Therefore, your online presence is all that people will use to base a decision on whether to work with you or not. As far as things go, the higher your business is ranked, the more legitimate it seems. Due to the fact that Google algorithm has quite strict metrics that are meant to protect users from frauds, having a high rank often serves as an unofficial surety bond. At the end of the day, small businesses usually work on a limited budget, which is why ROI is all that they worry about. When it comes to this, SEO is quite effective, seeing as how it increases your reach, boosts your sales and improves your online footprint for a fairly modest investment. 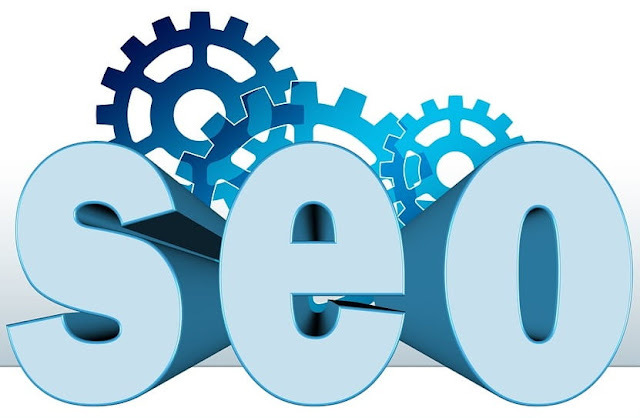 Furthermore, most SEO companies offer various packages, which means that you can choose or negotiate the set of services you believe will fit your budget. In other words, there are no one-size- fits-all solutions when it comes to the world of digital marketing but, even as a small business, you can’t afford to ignore your online presence for long. I hope you enjoyed this article about why search engine optimization is crucial for small business growth. Interested in more articles about SEO?